What is the Berlin Ringbahn? The Ringbahn is a railroad that runs around Berlin. The S41 train goes around the Ringbahn in one direction, while the S42 goes in the opposite direction. 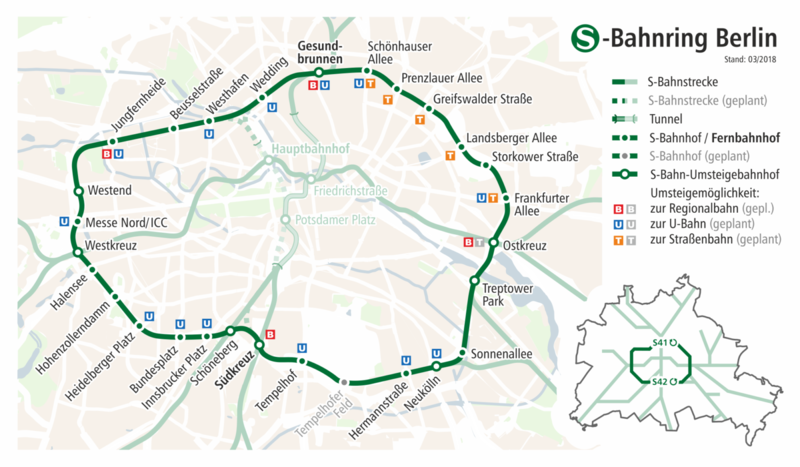 The Ringbahn is often used to separate what's in central Berlin, and what is not. The area inside the Ringbahn is an environmental zone. Only low-emission vehicles with green stickers can drive in this area.